← First day in Brazil…and the trip here. 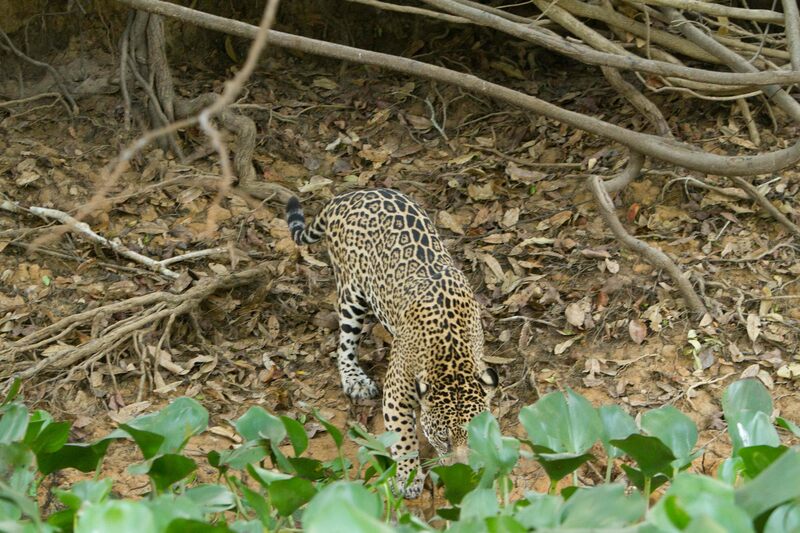 Today was my first day at Jaguar Camp run by Aiden Lara of Pantanal Nature. After a five hour drive on a washboard road, our small group (three sisters: two nurses from Seattle and a younger sister, a neurologist from Newburgh, NY) and I arrived at Jaguar Camp. More about the trip later but first the good news. 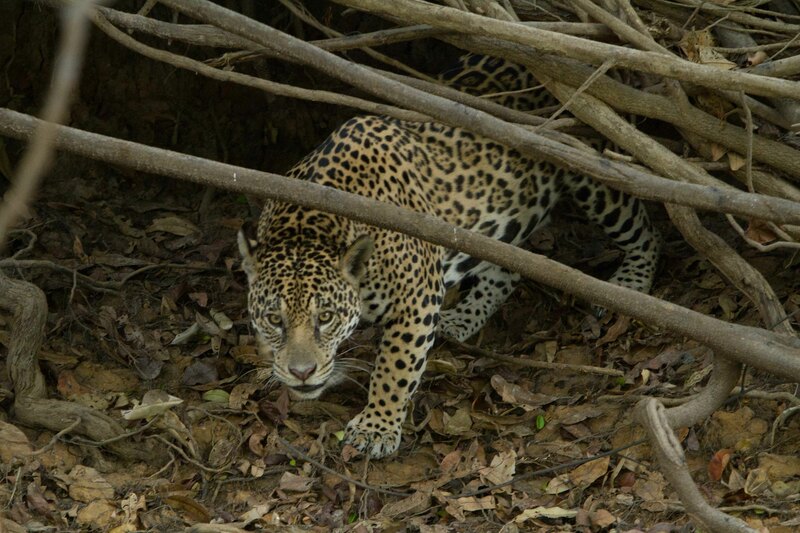 I saw my first jaguars this afternoon. 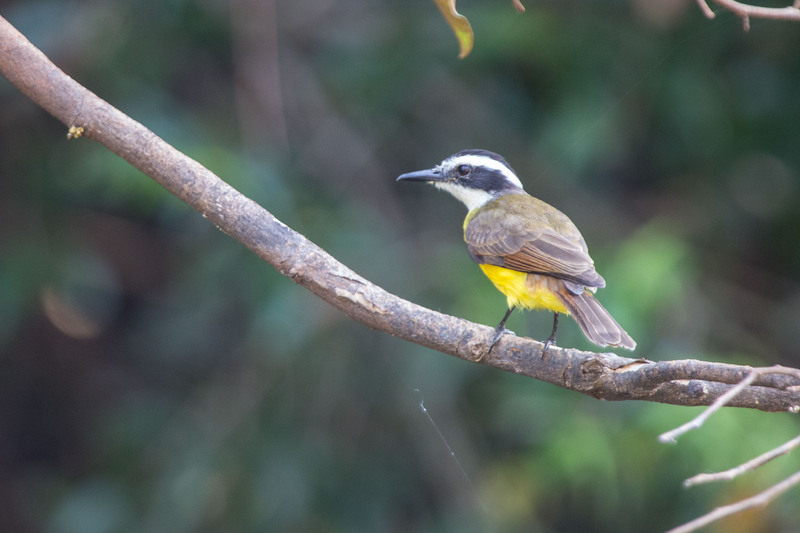 There was a male and a female and they spent most of the time hiding in tree roots and limbs. They were difficult to see until they made their way down to the river to drink. It was hot…104 degrees….and I was pretty well soaked as we sat for two hours at this location waiting for these two to move a little so that we could get better shots. I probably made 150 images but will be throwing most of them away. The one above on the left shows how difficult it was to get a clean view. Now the pressure is off. 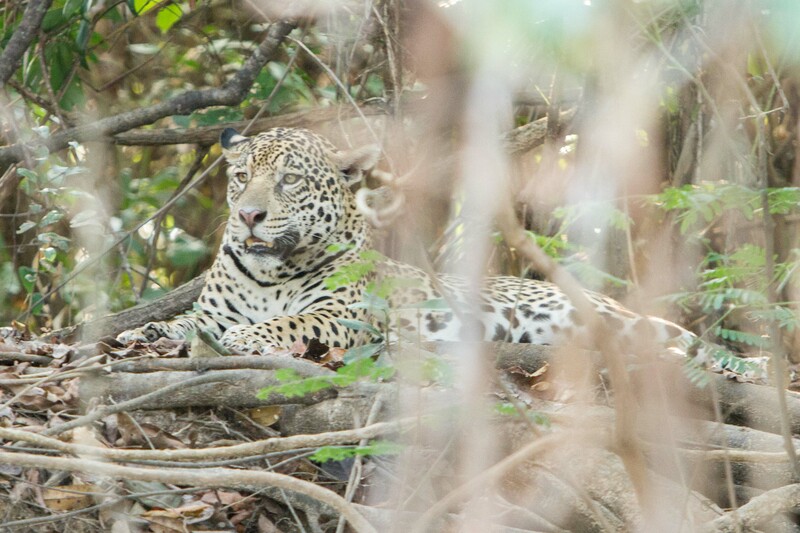 Tomorrow we’re going back out onto the river to look for more jaguars but now I’m able to enjoy the search without having to worry about finding a jaguar before leaving. 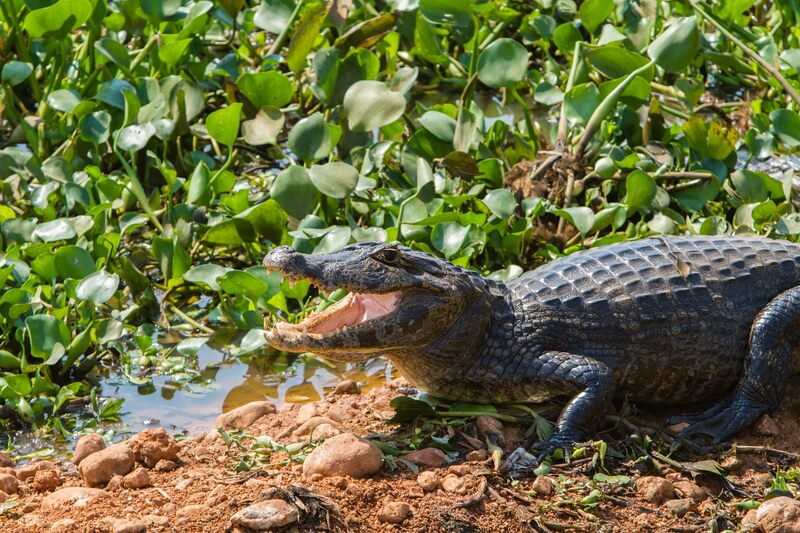 A driver from Pantanal Nature picked me up at my hotel at 6:30 this morning and then we made our way to another hotel in Cuiaba to pick up the three sisters. The drive south was extremely rough. 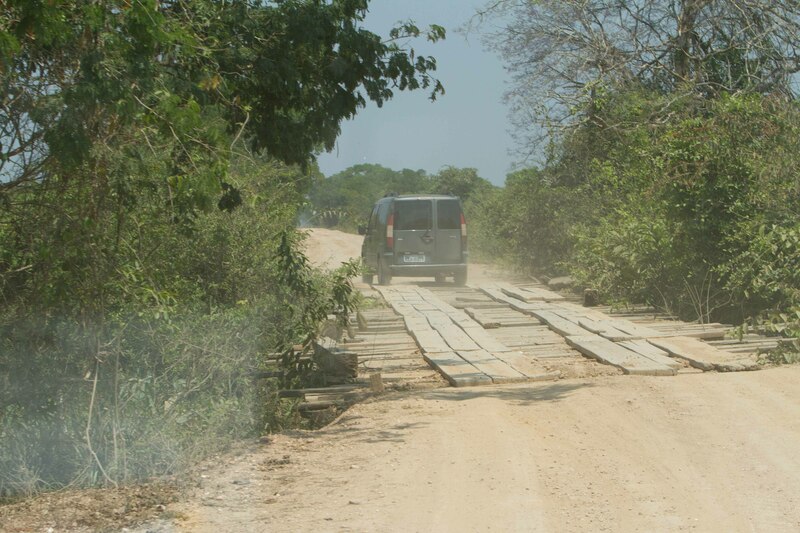 I’m told there are 100 of these wooden bridges along the Transpantariea highway. I didn’t count them but we crossed each one very slowing. 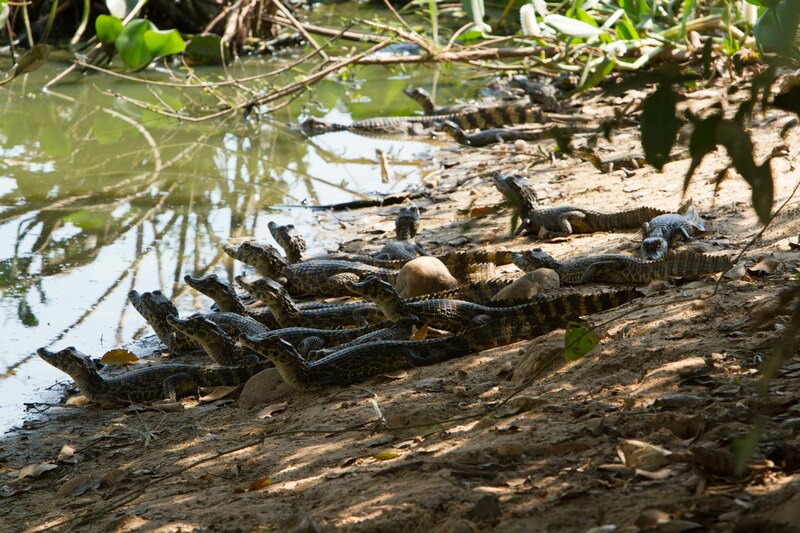 Along the way, we stopped several time for various wildlife like these group of baby caimans. 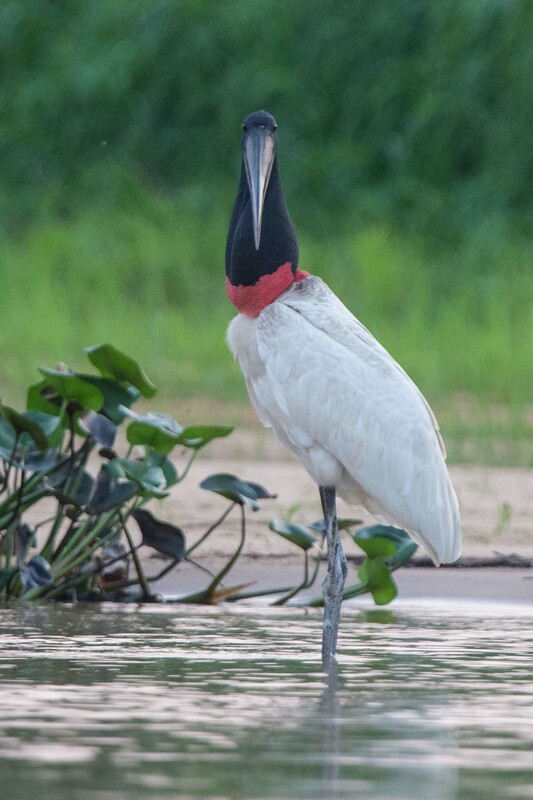 There were a number of interesting birds like this Jabiru. Finally, we made our way back to Jaguar Camp for dinner and a good night’s sleep. We start again tomorrow with breakfast at 6am. 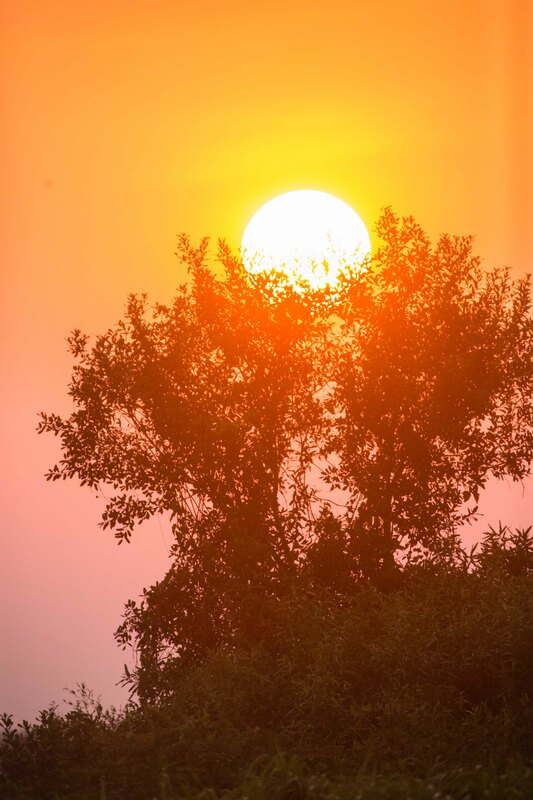 This was the sun going down.